“There’s no turning back.” It’s the kind of banal sentence you expect to hear in any action or drama-based TV show, and it almost never carries much weight, because it’s rarely directed toward changes or plot points of any import. It’s a placeholder phrase—or rather, it usually is. In this Agents Of S.H.I.E.L.D., it feels real. On a show whose best moments are almost always emotional linchpins that get at the heart of one of its characters, this was one of the most jaw-dropping reveals to date. 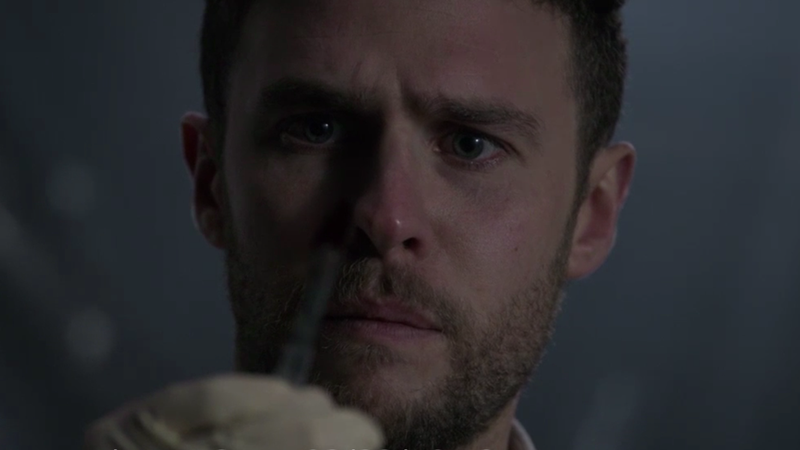 Unlike the delicious twists and turns of the Framework, the heartfelt goodbyes to beloved characters, or even the total reset lever pulled towards the end of season one following the events of Captain America: The Winter Soldier, the discovery that the Doctor—the evil version of Leo Fitz from the Framework—was actually just a fractured part of Fitz’s own psyche, and not another manifestation of the rift, was staggering. “The Devil Complex” seems to be about the group’s increasingly desperate attempts to close the dark dimension’s breach into our world, but the third act twist reveals there’s a dark dimenson already here. It’s in Leo; it’s the thing that has scared him ever since he came back with Aida from that digital realm, and now it’s made itself known in the most traumatizing way possible. “I don’t deserve forgiveness, Jemma.” It’s not hard to see why he thinks that. Throughout the back half of the episode, we see the Doctor appear and threaten several members of the team, repair one of Hale’s robots (which then shoots Mack in the leg), and knock out Daisy in order to remove her power inhibitor, which is pretty indistinguishable from torture when she’s subsequently yelling, “Don’t!” and screaming in pain. But over and over, the Doctor insists that he and Fitz are in agreement, that “plans are already in motion,” and that despite Fitz’s protestations, they actually agree. Fitz admits as much after it’s all over and he’s pacing in his cell, telling Jemma it was the right thing to do, much as it pains him to say. Hence, not deserving Daisy or Mack’s forgiveness. “Just like you don’t deserve me?” she says, in one of those heartbreaking moments where Simmons’ vulnerability overshadows everything else onscreen. Truthfully, the guilt Fitz endured following the Framework never left him. As he says during the flashback episode before he joined the others in the future, his violent and sadistic streak came from inside him. And once he discovered it, he couldn’t get rid of it. Like a Greek tragedy, his evil alter ego came back to claim its prize—possession of the man trying to escape its clutches. Iain de Castecker has been playing a damaged, haunted version of Leopold Fitz ever since the character began season two recovering from the mental injuries he suffered after Grant Ward dumped FitzSimmons into the bottom of the ocean. But he does his best work of the series here, confronting his doppelganger with the kind of overwhelmed and anguished stress that Fitz has always managed to keep at bay until now. Even when he panicked in the past, or had moments of indecision or fear, it was always paired with a sense of endearing indefatigability, the sense that he was a good guy doing good things, so even if bad stuff happened, there was light at the end of the tunnel. Not so here. The toll of his psychological split isn’t just tearing his mind apart in a literal sense. It’s ripping his identity in twain, destroying the man he thought he was—and worse, the man Jemma Simmons thought he was. The faint silver lining on this lightning-storm cloud of sadness is Deke. Letting Jemma learn who he really is—the grandson of Fitz and Simmons, living proof they have a better future ahead of them—is meant to play as somewhat reassuring, and for Jemma it is, at least a little. True, she vomits immediately upon learning she’s Deke’s grandmother, but that’s not so shocking given the circumstances. Unfortunately, the thing that makes his news a potential comfort is the same thing that makes Mack’s reassurances to Yo-Yo that everything will be okay ring hollow. Namely, that they’re currently hurtling toward a preordained future, one in which the entire planet is destroyed, and humanity’s remainder becomes enslaved to the Kree tyrant Kasius. For Yo-Yo to be okay, our heroes have to somehow change the future and prevent the earth’s breaking apart. For Deke’s prediction about FitzSimmons’ future—and possibly his very existence—to have any staying power, the opposite may need to be true: Things have to continue on their current path, and the world must die. This Sophie’s Choice is only going to become more stark as the narrative unfolds. The events with Fitz and the others are such a game-changer, it’s easy to forget that the other main plot of “The Devil Complex” includes some exciting twists that would normally make for a solid episode unto themselves. The biggest one is the reveal of Ivanov, back from seeming oblivion and working for Hale, albeit against his will. (Or at least taking orders against his will; making life harder for our team is probably right in his wheelhouse regardless.) Along with Carl Creel, the two of them arrive to upend S.H.I.E.L.D.’s plan to kidnap General Hale and find out what she’s up to. As May notes earlier in the episode. you’d think the U.S. military would have better encryption: They do, but Coulson was too eager to get the drop on Hale that he missed the signals all was not right. Ivanov is understandably pissed and eager to get some payback at the people who messed up all his plans, whereas Creel is doing what he believes is the right thing. And honestly, Hale really sells the whole “trying to save humanity” shtick; it’s no wonder Coulson almost believes her. Unfortunately, Fitz isn’t the only one whose psychology may be causing them to behave in profoundly differently ways. Ever since he realized he was dying, Coulson has been increasingly willing to make the kinds of decisions that put his life in jeopardy. He’s been clear that he already sees himself as living on borrowed time, and as a result, his choices are starting to put him in harm’s way almost by default. May calls it out when Coulson agrees to go with Hale and her lackeys: “It’s suicidal—which is now a recurring theme for you!” He denies it, but it’s hard not to concede May has a point. Coulson is treating every minute like it’s a bonus round, an opportunity for him to do a little extra good while running down the clock. Daisy and May have agreed that preventing his death, even against his own wishes, is their primary objective, but that’s becoming harder the more Phil treats himself as expendable. The dimensional rift already forced him to confront his mortality once; it’s not clear what could help pull him back from the mental brink at this point. 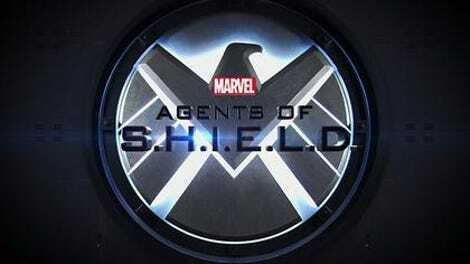 This has been an uneven season of S.H.I.E.L.D. so far; I’ve occasionally expressed worry that the show has misplaced the sure-footed confidence that allowed it to pull off last year’s high-water mark of action, heart, and humor. But this episode easily takes its place among the series’ finest. It slowly and subtly shades the dominant emotions from initial humor and adrenaline to later worry and fear—and then finally shock, with a denouement of such pathos and character-based conflict that it’s hard to imagine how we’ll find any of the signature laughs next week. Perhaps it’s time for Yo-Yo to roll out some more pitch-black lack-of-arms jokes; gallows humor may be the only appropriate kind. Kudos to credited writer Matt Owens and director Nina Lopez-Corrado. This one’s going to stick with me.